Lupus is an autoimmune disease. 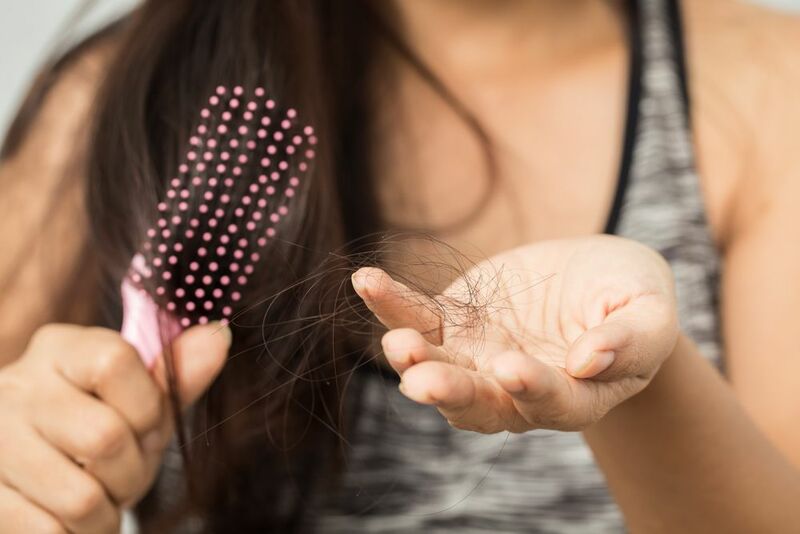 Often, hair loss is one of the first noticeable symptoms. However, due to the complexity of the condition, it can be difficult to know exactly which aspect of the disease is leading to hair loss. Here, our team at True and Dorin in New York, NY will explore the immune system’s role in lupus hair loss. We will also discuss how to combat these symptoms and how treatment at our hair restoration clinic can help you regain the confidence and self-assuredness to take on the world. Read on to learn more about lupus and hair loss. Simply stated, lupus is a disease in which the immune system attacks the body. There are several different types of lupus. The most common, referred to as systemic lupus erythematosus, or SLE, causes chronic inflammation throughout the entire body, including major organs, joints, and the skin. Another variation, called discoid lupus, is generally localized to the skin. Both SLE and discoid lupus can lead to hair loss, or alopecia, which we will explore in the section below. How Does Lupus Affect Hair Loss? Because lupus commonly affects the skin, it often causes inflammation on the scalp. This directly impacts the hair follicles. As a result, many patients will notice that their hair is thinning or falling out. Others may observe a distinct change in hair texture. In addition to losing hair, some patients may notice that their eyebrows or eyelashes are thinning out as well. Alopecia can be categorized into two classifications: scarring and non-scarring. Those who experience scarring unfortunately have no chance of natural hair regrowth, as the follicles have been destroyed by inflammation. Hair loss is one of the most common symptoms of lupus. In fact, approximately 50 percent of all lupus sufferers will likely experience alopecia to some degree. Immunosuppressive medications are often used to combat the disease and many of its side effects. Unfortunately, some of these drugs can also lead to hair loss. In some cases, however, hair growth may resume if patients discontinue these medications. It should be noted here that individuals suffering from lupus-related hair loss should not use Rogaine or other over-the-counter hair loss treatments. These products are intended to treat male- and female-pattern baldness, which varies significantly from the type of alopecia common in lupus patients. Lupus is a frustrating disease that can leave you feeling discouraged and disheartened. Hair restoration is an excellent way to boost your self-confidence and improve your overall quality of life. If you have been diagnosed with lupus, consider scheduling a consultation with one of our skilled and compassionate doctors. You can call us at (866) 629-0866 or contact us online anytime.